I am a huge fan of Kathleen Lights on Youtube and when they announced (it was leaked) that they were collaborating on an eyeshadow palette I knew I must own it. 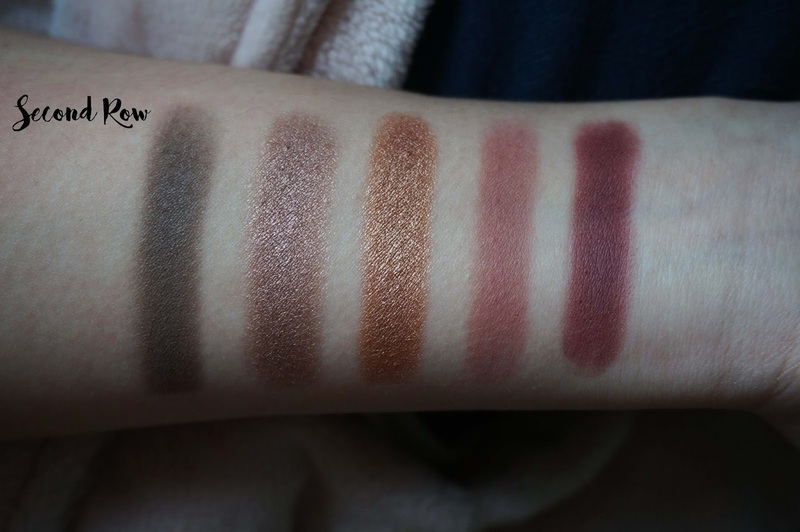 I am a lover of warm shades and eye shadow palettes and this palette is beautiful. 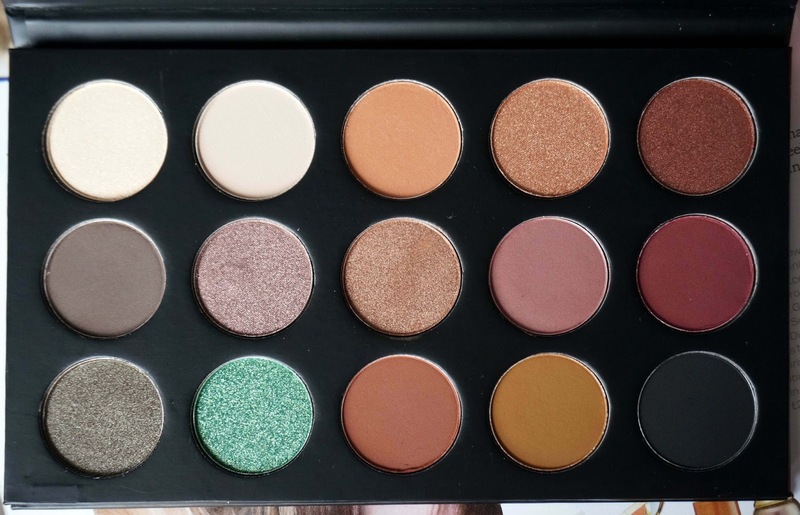 When the palette was released I purchased it within 5 minutes off the Morphe Brushes website since it was exclusive and send it to a UK forwarding company to get it sent to me to avoid customs taxes and to get cheaper delivery since it would have cost an additional of $22.50 for delivery and that is standard international shipping. I've talked about the forwarding company in my ColourPop Haul here and I consolidated the Colourpop order and this Morphe palette together and got it sent to me. The full details are on the Colourpop Post but I paid a final amount of £10.85 for delivery altogether and I had a $5 discount on My Mall Box which reduced postage. My order arrived within a week which I was so happy about as I thought it would have taken longer. If you have questions about forwarding service please ask me below, I'll try my best to answer. As we all know any collabs that Kathleen does has some sort of 'lights' effect on and this is no different as it has light bulbs hanging on the sleeve of the box, I find this very cute. I am going to keep the sleeve since it's a limited edition product. The palette's packaging has a matte finish and is made out of cardboard. It has Morphe X Kathleen Lights in red foiled lettering on the surface of the palette and looks like a Z palette without the see-through film. It also has a magnetic closure and no mirror - which does not bother me. All in all the palette feels very sturdy, suitable to travel and simple (in a good way). There are 15 eyeshadows divided into 3 rows with different matte, metallic and satin finishes. There are 6 custom shades and all the others are either single shadows or from a 35 piece palette. From the first row, it is mainly your neutrals and copper shades. 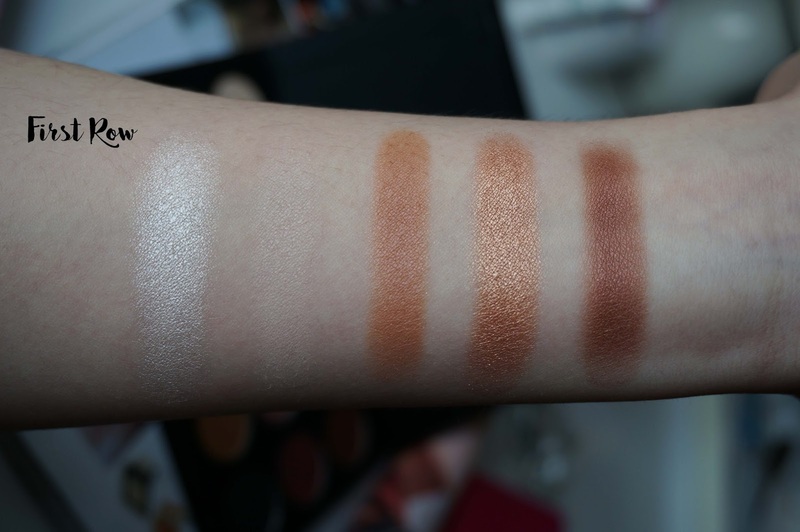 The 1st shade is a white shimmer suitable for highlighting your inner corners (Morphe Single - Cream Puff), 2nd shade is a cream matte suitable as a base shade or brow bone colour, 3rd shade is a soft peach with shimmer (Morphe Single - Deep Skin), 4th is a gold metallic custom shade and 5th is a cranberry satin custom shade. I love the colour selection of the palette, I'm normally reaching for a minimum of 2 palettes whenever I do my makeup so this palette would good to travel with and do my daily makeup. My favourite colour is green therefore I love the custom colours. The metallic shades are a bit chunkier than the rest but they all apply smoothly and swatches smoothly too. I have two of the Morphe palettes, 35O and 35F and I love adding this to my collection. 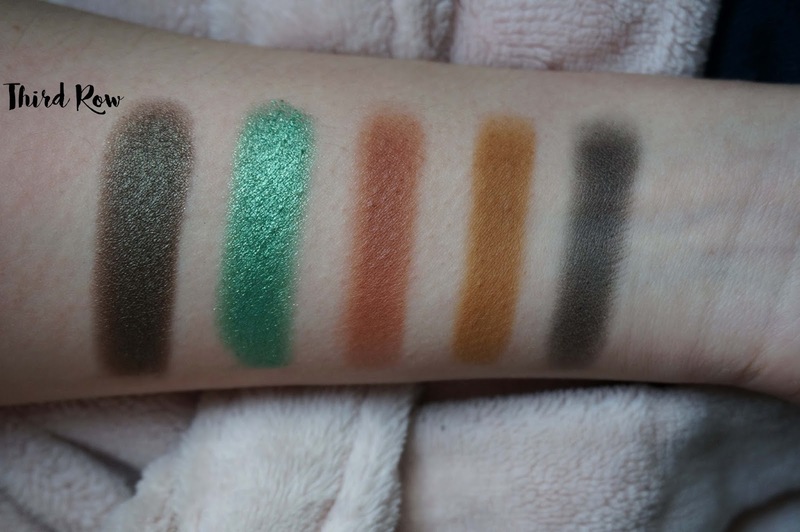 I am not a fan of single eyeshadows since I like palettes more but this makes me want to look into their single eyeshadow options. I think this is a fantastic palette and if you can get your hands on this, I do recommend. It is very affordable palette ($14.99) especially with her discount code but the shipping is a bit expensive ($22.50 international and $7.50 US) so you can use a forwarding service like me if you want to here. If you are a fan of Kathleen Lights you need this and it's getting restocked! Hope you've enjoyed my swatches and review. Good one! Need to check it out! I love love love the green shade but I could never pull it off!